There is nothing new here, just re-hashing old characters in new settings. 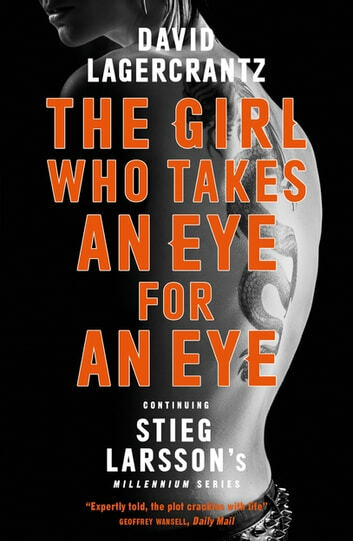 The magic of Stieg’s writing has evaporated and a new weaker story-line continues. End here, please. It was Lagercrantz's luck day when he landed the contract to complete this book. Despite a raft of good reviews from dominant authors, I think he has not done this title justce. I was disappointed especially because I really enjoyed the first three books by Larsson. It was mostly dull with a lot of flashbacks. I don't have a problem with the story, just the way it is written. You could guess Largercratz is a reporter by the abundance of the 'he said, she said' copy. Someone should tell Largercrantz that good novels show and don't tell the story. He needs to read some good novels by writers like Koontz (plenty to choose from) and work out how to move a story on quickly before he tries writing another novel. David Lagercrantz continues the story we all loved , the story Salander . The book is good , hard to put down, the story is unfolding fast and brings back all the characters we are so familiar with from the Millenium trilogy, but also adds new characters for a wholesome story. I am hooked on these characters, brilliantly written, pages leap out and l could not put it down. Hope there is more to follow.